Insurance policies are available to protect developers from the risk of possible future claims resulting from infringements of rights of light. Right of Light Consulting work alongside FCA regulated brokers who can seek quotations from all major insurance providers. Cases such as HKRUK II v Heaney (2010) have highlighted the legal system’s increased willingness to award an injunction against the developer rather than simply awarding compensation to the injured parties. The costs of compensation/damages can be significant; sometimes being based on up to 30% or more of the developer’s profit. The consequences of an injunction will in most cases be even more costly than a damages claim – particularly if it involves demolition of part of a completed building. In order to allow a development to proceed, a developer can take out an insurance policy to protect themselves from a range of potential costs. 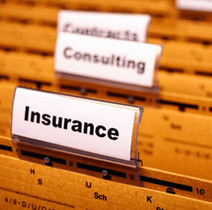 The extent of cover will vary from insurer to insurer. Loss in land value in the event the developer’s project is permanently halted or curtailed by the court.